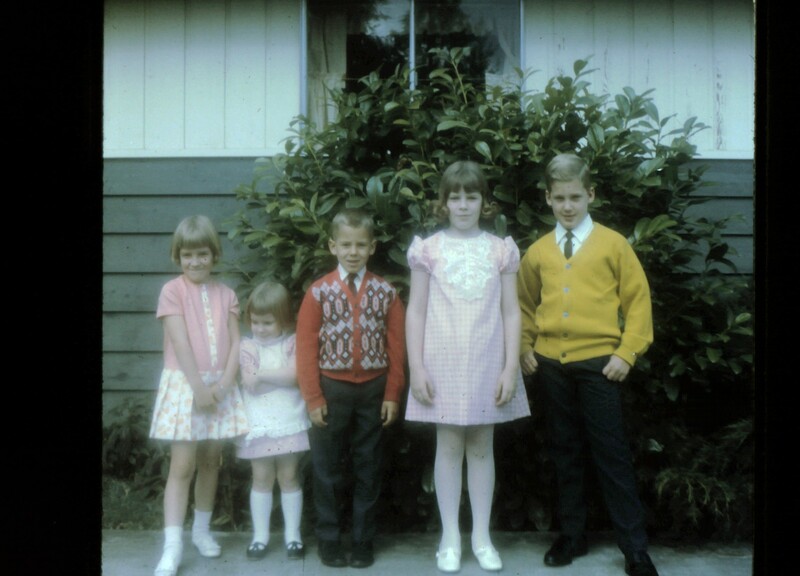 I’m fairly certain that Easter was the only time we took photos outdoors in our Sunday Best. This photo is unusual in that we’re posed with our cousins from next door. More common was my sisters and I alone, or with mom, standing on the porch or on the lawn in front of the thorny flowering quince. I must have felt particularly stylish this day, or was, perhaps, showing off new shoes. Whatever the case, hot cross buns were involved at some point during the day. Here’s more. This entry was posted in Holiday and tagged cousins, Easter, hot cross buns, shoes. Bookmark the permalink.